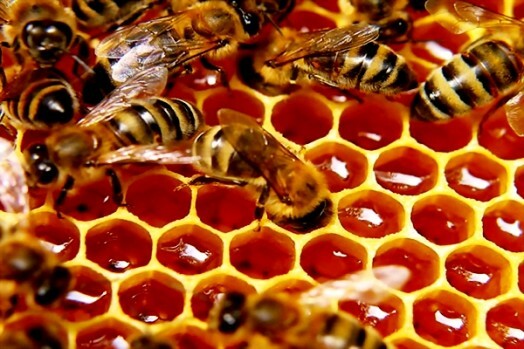 Framework bee farming as a way to get honey and wax was known in prehistoric times (according to the legend of the ancient Greeks, people acquainted with bee farming from Aristeas, king of Arcadia, son of Apollo). Information about bee farming can be found in many ancient books. 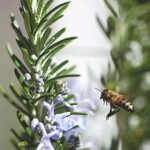 Bee had a particular importance in the ancient times, honey was used for healing purposes. 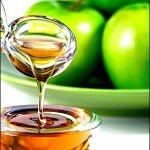 Honey, as a beverage, is known since ancient times: the ancient Greeks called it “οίνομέλι”. Wax also had a variety of uses – for waxing boards, for writing, the Egyptians used ir to embalm corpses. Asian nations – Japanese and Chinese also knew bee farming. 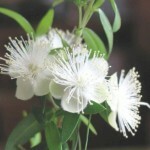 At the present time it is spread out all over the world, but it has special development in Italy and the United States. 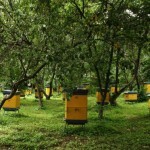 In addition to the benefits from honey and beeswax, bee farming is very useful due to cross-pollination of flowers. The ratio of the number of worker bees to the number of drones is 3 to 1. Good queen lays in a big family 1200-2400 eggs per day. It is better to buy the second swarm, as the first, for the most part, has the old queen, which may be less fertile. When you have few eggs, replace the queen. 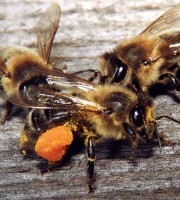 Laying of eggs can serve as a good indicator of fertility uterus. .
Do not rush with the beginning of the season: on the one hand, after opening of hives bees start to breed larvae, they have to fly out for food in the cold weather, dying in large numbers, on the other hand – with the start of brood-rearing bees are more in motion, and therefore eat more food and often fall ill with diarrhea. The opening is made on clear, warm and windless days, around noon. After two days, the hive is carefully inspected and cleaned of litter and dead bees. According to the overflights, we can see whether the family suffered from damp or hunger. In the first case – a wet or damp hive is replaced with dry one, in the second case – the bees are fed, inserting a frame of honey into the hive. Weak or orphaned (ie, lost their queens) family is combined with strong or artificially increased. Compound of families is made by putting bees from weak hive on the flight board of strong one, or mixing the two families and pouring with a scoop on the flight board, pre-spray the bees with a mixture of water and peppermint essential oil. Strengthening of families is made by putting honeycombs with eggs no older than 3 days, or with special care. First case is valid only when the hive lost the uterus, and the available brood is too big, so bees cannot raise the queen. The second method is used, when the hive is weak because of slow egg laying or the slow development of larvae, you need to maintaining sufficient heat and ventilation in the hive and to feed them. Feeding has a great benefit – especially in the spring when there is little harvest (feed at night to avoid theft). Feed is a mixture of flour and water (wheat, rye, oat or pea) or pure honey, diluted with hot water (It is necessary to boil sour honey and then remove a foam). Also give to bees salt water (a teaspoon of salt and a bottle of water) or clean. However, the most efficient technique of feedind is spare cells. Feeding starts when the hives winter, you can also start it after opening, when there is no frost, with a gradual increase in portions, until the appearance of harvest, then the amount of feed is gradually reduced. 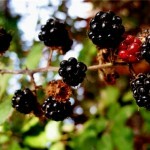 Make summer feeding in the drought, cloudy or rainy weather. Sometimes you need to feed bees in the fall – in those bad years, when the bees are unable to collect enough food for the winter . Feeding begins in August in large portions, because gradually increasing portions may result in delayed egg laying. With the beginning of warm season you should start the equation of forces in the apiary. There are two ways: the first is to put a frame with larvae without adult bees from the strong hive into the weak, the second method – move the weak hive at the place of a strong one in noon, when flying bees are in a field. If feeding and the equation is made on time and efficiently, then in May or June, depending on climate, swarming begins. You can notice the preparing the hive to swarm by laying drone brood and making queen cells (with adult larvae or sealed). Swarm goes out between 8 am and 2 pm. Bees destroy unnecessary drone larvae after releasing of the swarm. If a bee colony is weak, or if you do not want to increase the number of hives, then take action against the swarming (there are a lot of beekeepers who find it possible and even necessary to use only artificial swarming). If swarming occurs during a good harvest, when there is not enough cells (there are a lot of food and queen lays a lot of eggs (fertility of queen increases in the good harvest). The only way is to remove the distress, which is caused by purely meteorological conditions, the area of the comb should be sufficient so that the queen can lay all the eggs. 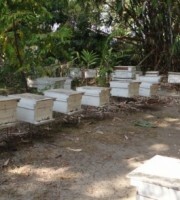 If swarming still being prepared, it is necessary ( better too early than too late) to replace the honeycombs with food or larvae to real empty and artificial honeycombs. Empty cells, eliminating the very reason of swarming, keep bees in the hive. Then, you should prevent excessive breeding of drones, and put the hive in a shady place. Dadan, and after – Bertrand and Cowan [the first is american beekeeper, a follower of Langstroth, called the “Father of American Beekeeping”, the second – the editor of “Revue Internationale D’apiculture” (Nyon, Switzerland ), the third – editor of “British Bee Journal”), applying the above methods, reduced the number of natural swarms to 2-3% or less. Sometimes, it may help to put the queen in a wire cage, as well as cutting of queen cells. Preventive measures against the second outgoing swarm, besides the above-mentioned, consist in cutting of the queen cells, moving the old hive to a new location (shaded), and the new hive to the place of the old one. After swarming you should give the swarm the time to settle, sometimes people use special devices : the hanging black hat, a bunch of dried leaves, a piece of black woolen cloth or better an old dry dark honeycomb. Catch the swarm with the net and put in an empty hive. Collecting bees (with the queen) in the net, pour them out on the canvas in front of wide open empty hive. New hive should be cool, with dry honeycombs and with the smell of herbs. Beekeepers have long been trying to find the right method of artificial breeding of families. Currently, there are many ways of artificial swarming. 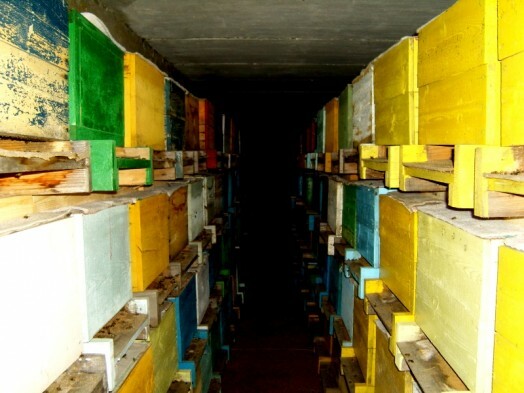 The first method is the following: a few days before the time of the swarming of the strong hive (A 1 ) you sweep away all the bees in an empty hive (A 2 ) and put one or two cells with the larvae and the food, then put this hive (A 2 ) in the place of the first hive (A 1 ), put the latter in the place of a strong second hive (B), which is removed away, and after such a reversal the flying bees of hive (B), returning from the field, fly into the hive (A 1 ) and work there. The second method differs from the first: put in the hive (A 2 ), after it is stood in the place of the hive (A 1 ), only one queen (without bees), if possible – on the same cell, where it was found, the hive (A 1 ) can be replaced to a completely new location or to the place of any strong hive (B) with a young queen, where it is necessary to prevent swarming, in this case (A 1 ) is put to a new location. If the hive is rich in young bees, whose duty is mainly the care for kids, you can put these young bees with the queen to a new hive, but leaving the greater part in the old hive. If you want to take another swarm from this old hive, then, without waiting for the breeding of a new queen, you must give them a spare young fetal queen, and then after 10-15 days, you can re-produce artificial swarming. The third method involves the formation of nucleus (the word was used by Langstroth to call small families, breeding exclusively for queens). Take a few frames with ready larvae and a fertile queen from the strong hive (A), insert into the new hive, and put this new hive (B) in the place of a strong hive (C), which is carried away. Flying bees (it is better to make this operation in a period of good harvest), returning from the field, fill all these empty honeycombs. The bees without the queen in the old hive (A), will lay the queen cells, you can transfer these cells in the latter stage of the development of the queens to those hives where you want to remove the queen to make a new swarm. Then you can take two frames from each strong family, cleave queen cells, put them in the place of the strongest hive at the time of the harvest. If the old queen begins to lay less eggs or young one is not fertilized, it is necessary to replace them to spare queen. If there is any doubt that a new swarm has enough time to recover until the fall, it is better to combine it with the old family. You should remember the age of a queen: usually on the 3rd or 4th year the queen begins to grow old, it is better to replace it to a young one. New queen is needed when the old queen is killed in the period when the hive has no eggs or larvae younger than 3 days, ie, when the bees are no longer able to lay the new queen cells. You can put in this hive: 1) combs with eggs or larvae (not older than 3 days), borrowing them from the strongest hive, or 2) queen cells from the hive, where they are in excess. Some beekeepers have nucleus. Take 2-3 frames with young bees, without a queen from each strong hive, and put them into the hive, the interior of which is pre-reduced. In 24 hours the bees understand their loneliness, so you can give them queen cells, closed with a lid. When released queen begins to lay eggs, you can put this queen in orphaned hive, make a new swarm or sell. Bees will breed a new queen from these eggs, and so on. When you put the queen in a hive, there is no danger usually, but in case of hostile attitude to the queen, you can put it in specific cells or pre-spray the bees with a mixture of water and peppermint essential oil. 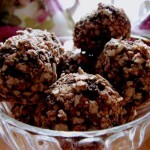 1) good food in good quantity. The best food is pure honey, ripe and sealed, watery honey sours during the winter, sour honey leads to diarrhea, aso you shoud avoid the honey collected from the heather and other plants that contain a lot of pollen, honey from the honey-dew. Fruit juice and honeydew from spruce are harmful. You should leave for the winter on average 25-30 pounds, observing that each cell is enough covered with bees, otherwise the bees will not be able to maintain adequate heat: a family of 20 thousand bees consume about 19 ½ lbs (8 kg) of honey, 30 thousand bees – 22 lbs (9 kg), 40 – 24 ½ pounds (10 kg) and in the 50 – 27 pounds (11 kg), ie, the larger the bee family, the relatively smaller amount of winter food consumption. 2) Good heat. Honey in a liquid state at temperatures above 15°C (59 F), it thickens, hardens at temperatures below 5°C (41 F). The wax is also hardens. That is why it is necessary that the temperature of the hive allow bees to maintain the temperature of honey at least +15°C (59F) (Often, the bees are dying of hunger, not being able to use their honey). However, at the temperature higher than +10°C (50 F) bees begin to leave the hive, so the most suitable temperature of the hive should be 6-9°C (41 F). 3) Humidity in the hive. Bees secrete moisture (sweat), which saturates the air, at a temperature below +10°C (50 F) it condenses into droplets and falls from the ceiling on a bees. Excess moisture is the cause of the damp, mold and cooling. The icicles are even worse. 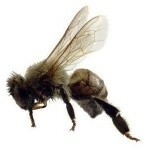 Excessive dryness causes the anxiety among bees. 4) Calmness. The roads, shops, etc. disturb the bees as well as daylight and strong winds. 5) The large number of bees in the family. The more numerous the family, the less work has each bee to warm the hive (this is clearly evident from the fact that with the increase of family, winter supply of honey increases fewer times), so this work is done better, and the bees will not freeze during severe frosts (of course, if the hive is not crowded by bees). 6) The presence of the queen. The necessity of this condition follows from the order of life of bees: the club lives around the queen and begins to disperse after its disappearance. The best place to keep the hive is a dry, well-ventilated area. You can dig a hole in the ground, edges are rammed, you make a buiding 2 feet above the edges, close and daubed with clay cracks, roof is covered with straw with clay. Before the main room you can make the passage for the cold air and the light do not reach the hives. Use special shutters of Dadan. Attach vent pipe to the roof. You can dig a ditch around the pit, 1 ½ -2 feet from the walls. Thoroughly dry, fumigate with sulfur and ventilate the building for wintering. During cold weather, if the thermometer inside shows below +3°C (37 F), close windows, doors and pipe with straw. You can use earth pits. In ancient times, bees wintered in their hollows, but in severe winters they died. You can keep bees in the board (the same hollow, but slightly different) and decks. Caring for bees, wintering in the board, is to reduce a notch, cover a roof to protect from snow and rain, putting the straw above during frosts, filling the empty space with straw, etc. The frame hives, whose walls can not prevent bees from the cold, sometimes are the reason of losing of a large number of honey and bees. To avoid heat loss, you can make the double walls, filling the empty space with straw.Framework are covered with a frame, the top and bottom of which are filled with two layers of canvas, the space between the layers of the canvas is filled with dry straw, cork or peat. American beekeepers use special boxes that replace the exterior double walls of the hive. You can keep the hives of bees in cold buildings, for example, the sheds where the temperature does not change so drastically, but they are protected from the strong winds. 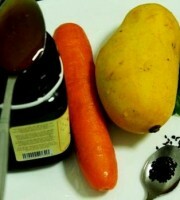 1) because the melting point of all these substances below the melting point of wax. 2) because the bees sometimes recognize fraud. Preparing honeycombs, you must remember the way of removing honey from the combs, if you use a centrifugal method, wax should be thicker. Attaching the honeycombs is made in various ways. In some cases you can attach wax to galvanized or tin-plated wires, stretched horizontally (by Dadan) or vertically (Bertrand). 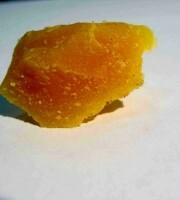 For pressing wax you can use cutters of Vuable. Wax is attached to the frame by gluing with wax, mixed with rosin or by attaching on the top plate. 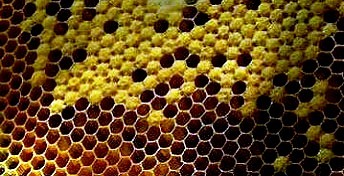 Location of the cells should make two sides of each cell be vertical, as in natural honeycombs. The most simple, but crude way of getting the honey is, after previously killing the bees with sulphurous smoke, knocking out the entire contents of the hive in a barrel with rubbish and dead bees. This honey is called “gray” or “barreled”. Some beekeepers unfortunately use it. They kill the bees and the honey gets a lot of pollen, which is easily fermented. You only use this method even if you take honey from hollows, you just attach cells to the frame. Centrifuge is a metal cylinder, into which is inserted a rotating device for frames with honey. 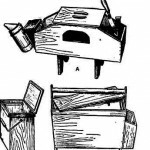 The honey extractor of M. Abbott has no cylinder, but consists of a vertical rod and attached two iron bars of box, which are inserted into the frame. Stanley from the U.S. as well as Cowan from England invented a centrifuge, where frames automatically overturn if you turn the handle in the opposite direction. Unfortunately, these devices are too bulky and expensive. Before placing a framework in the extractor, you cut with a knife caps from the cells or you can use devices for squeezing honey. Operation of these devices is based on the difference between the melting points of honey and wax, the device is placed on the fire, and when the honey becomes completely liquid, then squeeze it out of the device by pressing and after removal of the honey remaining wax is heated to a liquid state and is removed from the device.Some devices squeeze honey by a pressure (compression) without preheating. Kindly also let us know regarding the transport from your warehouse to border in SG. KOLOK Thailand(Malaysian border Rantau Panjang).